Belman has delivered two special expansion joints for a floating liquefied nitrogen gas (FLNG) facility – in Australia. The expansion joints were installed in the Mono Ethylene Glycol (MEG) modules. Due to the media, and as a special project requirement, both the bellows and the flanges of the expansion joints were completely manufactured from Duplex and Superduplex. Belman has significant experience gained from multiple projects in the manufacture of expansion joint solutions from these materials. An additional project requirement demanded that the complete expansion joint, including the bellows should be coated. Considering the materials chosen this was quite unusual. A Hempel paint system was selected due to its excellent suitability for use with duplex materials. A special primer and a topcoat were applied due to the offshore marine and salt laden environment. Belman holds several type approvals from 3rd party authorities such as BV, DNV, KRS, ABS and Lloyd’s Register. This helps to simply project management for our clients. However for this special project, our Lloyd’s Register type approval did not provide cover due to the material and the medium involved. Therefore a special approval of the drawings and pressure test inspection were made. 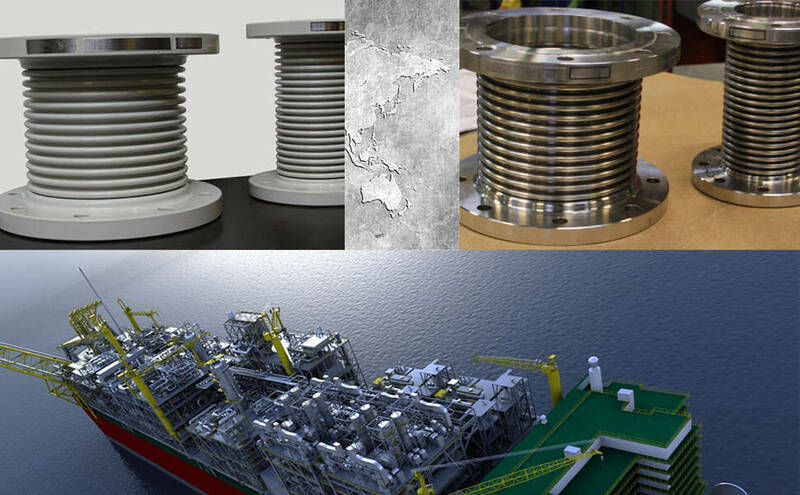 Belman has an impressive list of references for expansion joints for LNG/LPG carriers. Also we work closely with both end users and also the EPC/engineering companies involved such as for example: Technip, Hyundai Heavy Industries and Samsung etc. Belman also performs special material tests under 3rd party surveillance /No Bo according to IGC Code 3 LNG/LPG.